Western Sydney’s everyday heroes were in the spotlight at the 9th Annual ZEST Awards on 15 February, celebrating exceptional people and projects in the community. Led by Western Sydney Community Forum with major partners Western Sydney University, National Australia Bank, City of Parramatta Council, and Wentworth Community Housing, the ZEST Awards showcase Western Sydney’s inspiring stories of resilience, strength and innovation. On Wednesday 7 November, WSCF staff attended the Healthy Ageing Forum in Granville, hosted by Multicultural NSW, facilitated by Granville State member Tony Issa MP, with panelists includng the Minister for Multiculturalism, the Hon. Ray Williams MP and the Minister for Ageing, the Hon. Tanya Davies MP. 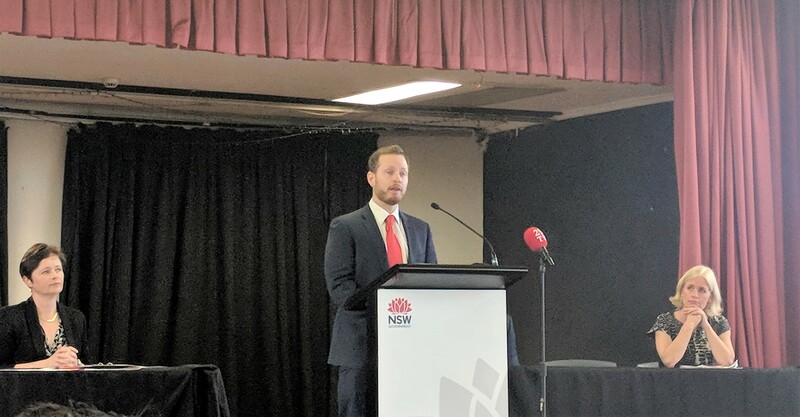 The Communities of Change Roadshows are underway, delivering key insights from the Communities of Change Report, throughout the local government areas of Western Sydney. The Roadshow sessions are an opportunity to ask questions and discuss the report with WSCF specialists and facilitators, specifically relating the data to current and future service delivery in local government areas. “Workers Compensation should be a detour, not a journey for life.” Rosemary McKenzie-Ferguson Set back from the street in a quiet industrial part of Girraween in Sydney’s west is a social enterprise that carves out a place of meaningful work, transition and life-changing purpose, for people whose experience in being injured at work led them into a complex of systemic holes. Rosemary McKenzie-Ferguson is the author, powerhouse and patron of the Craig’s Table program, which supports people who have been injured at work and who find themselves stuck in a hard place. Initially from Adelaide, Rosemary has been in Sydney for 15 months, to trial delivery of the program - which is unique in the world – together with with colleague Corey Williams, and supported by NSW insurance and care organisation, iCare. In 2017, social worker Marnel LaGarde was inducted to the Hall of Fame, alongside fellow recipient Yvonne Santalucia. Marnel began her career as a social worker at Parramatta/Holroyd Family Support Service - originally known as Parramatta Family Supports. Now Manager of the organization, Marnel has been a dedicated operative in the community sector for over thirty years and is a most worthy Hall of Fame inductee. 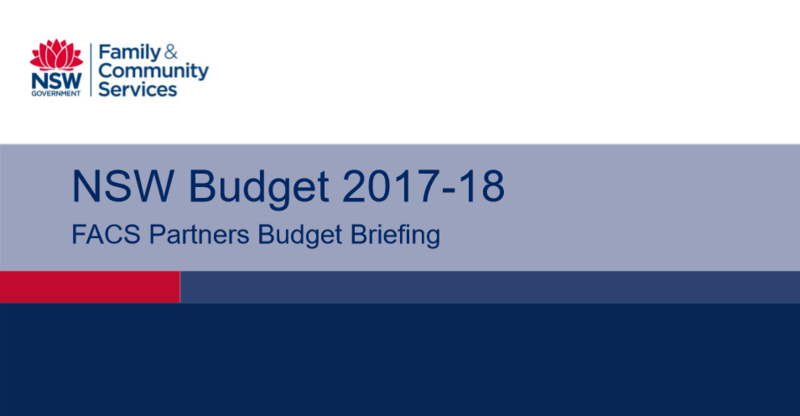 The New South Wales Department of Family and Community Services (FACS) delivered their 2017-2018 Budget Briefing this week, with a $7 billion spend for the sector in the next financial year, an increase of $459 million (7.1 %) in funding from the previous year’s budget. The Targeted Earlier Intervention (TEI) Reform Directions Information Sessions have now concluded in Greater Western Sydney. Four sessions were held across Greater Western Sydney: Liverpool, Penrith, Springwood and Blacktown. What kind of services will these reforms effect? The changing landscape being experienced across all levels in the community services sector, was the focal point of discussion at the recent LCSA conference attended by WSCF staff.